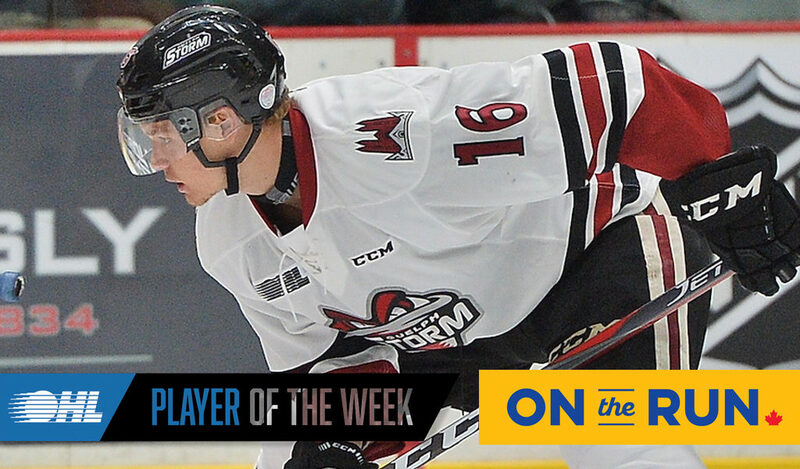 Toronto, ON – The Ontario Hockey League today announced that Arizona Coyotes prospect Nate Schnarr of the Guelph Storm is the OHL ‘On the Run’ Player of the Week for the regular season week ending March 3 after scoring 13 points in four games including four goals and nine assists with a plus-minus rating of plus-11. Schnarr produced a trio of multi-point efforts last week including a career-high five point performance on Sunday helping the Storm extend their winning-streak to seven. The contest featured his second hat-trick of the season plus two assists in the familiar confines of the Kitchener Memorial Auditorium near his hometown Waterloo where he earned second star honours in an 8-4 win over the Rangers. 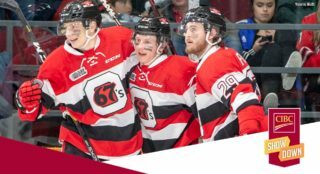 This came following Friday’s 11-4 victory on home ice against the Windsor Spitfires where Schnarr matched his previous high of four points with a goal and three assists earning third star recognition. 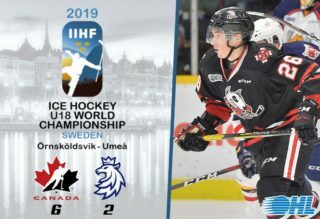 His week also included a single assist contribution on Wednesday night in Erie as part of a 4-3 overtime win over the Otters, and began with three primary helpers on Tuesday in a 7-3 win over the London Knights. 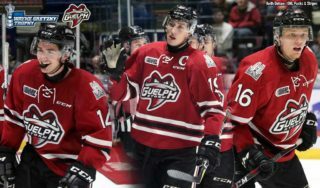 The Storm have locked up home ice advantage for the first round of the OHL Playoffs and are currently in fourth place in the Western Conference standings with a 36-16-6-4 record just five points behind third place Sault Ste. Marie with six games remaining. 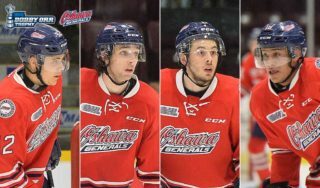 Schnarr, who turned 20-years-old on February 25, has been part of the Storm organization since being chosen in the third round of the 2015 OHL Priority Selection. This season has been the most productive offensively of his three full years ranking seventh overall in the league with 96 points in 59 games including 31 goals and 65 assists after generating 39 points across 57 games a year ago. Schnarr was a third round pick by the Coyotes in the 2017 NHL Draft and signed his entry-level contract with the club in December. He becomes the second member of the Storm to win the award this season following captain Isaac Ratcliffe in January. 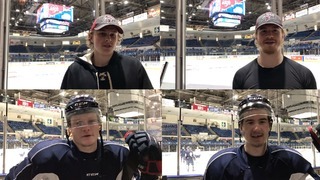 Watch video highlights of Schnarr and the Storm against the Knights, Otters, Spitfires, and Rangers. Also considered for the award this week was fellow Storm forward Nick Suzuki, a Montreal Canadiens prospect, who also had 13 points in four games with three goals and 10 assists. Next in line was Joseph Garreffa of the Rangers who picked up nine points in three games including three goals and six assists. 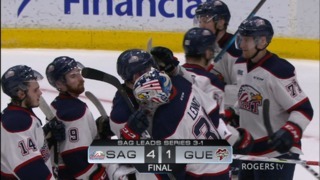 In goal, fellow Coyotes prospect Ivan Prosvetov of the Saginaw Spirit posted a 2-0-0-0 record including his fourth shutout victory of the season making a total of 47 saves for a goals-against-average of 1.50 and save percentage of .940.